Hello! 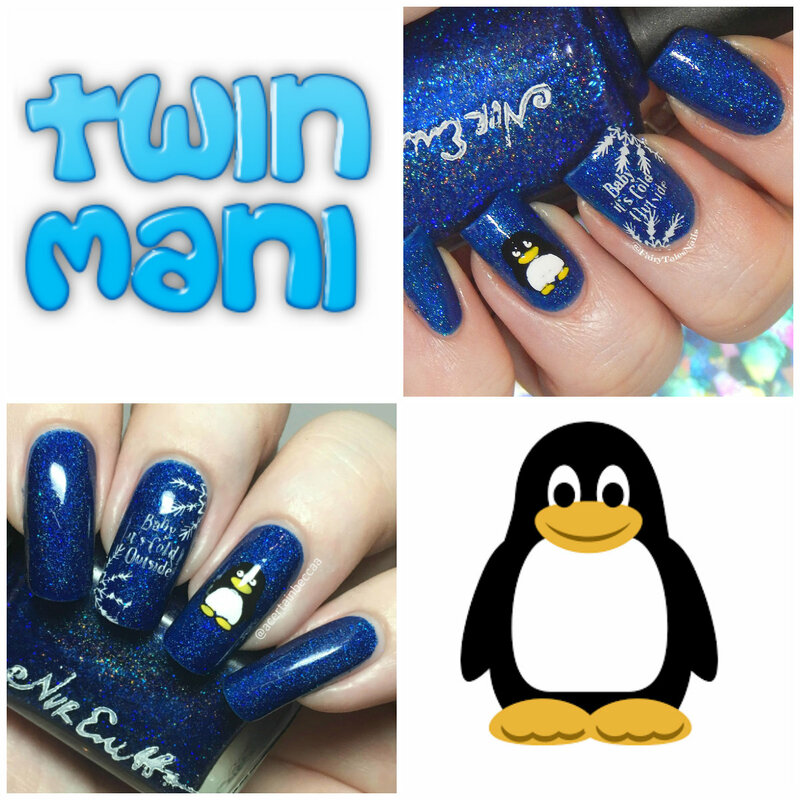 Today I'm finally doing another twin mani with my nail bestie Kirsty (FairyTales Nails). We haven't done one since February (post here), although we're always wearing the same polishes. I accidentally got two bottles of Nvr Enuff indie shop exclusive 'San Francisco' at Christmas, so I sent one to Kirsty - we decided straight away to use it a base for a twin mani. Here is what we came up with. Read on to find out more and for a closer look at my mani! 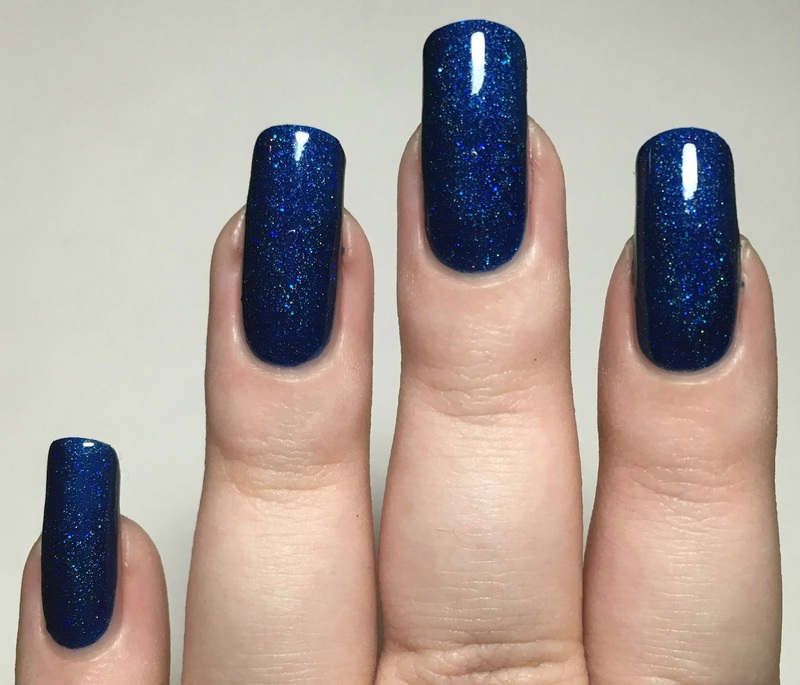 'San Francisco' is a deep blue jelly base with blue and pinky-red glitters, and a generous dusting of holographic. The formula is just slightly on the thicker side, but is very easy to apply. It is surpisingly opaque for a jelly, covering really well on the first coat. A second built up the depth and deepened the colour nicely. This does dry shiny but really sparkles with topcoat. Below is two coats and topcoat. 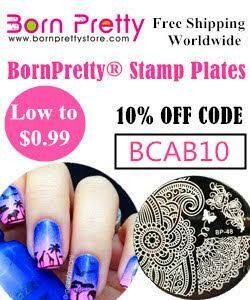 For our stamping, we both used Uberchic Beauty plate Christmas-02, purchased from Nail Artisan. We both created loads of Christmas manis, but still keep getting drawn back to this plate. 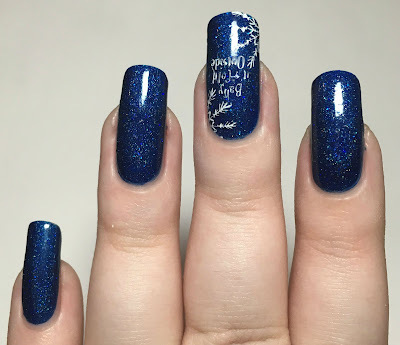 On our middle fingers, we stamped the 'Baby It's Cold Outside' slogan with some snowflakes - all in white (I used Hit The Bottle 'Snowed In'). We then made reverse decals using the adorable penguin near the bottom of the plate. I stamped mine onto my mini Ubermat using Hit The Bottle 'As Black As Night', and coloured him in using 'Snowed In' and OPI yellow 'My Twin Mimmy'. I left him to dry before positioning him on my ring nail and sealing everything in with topcoat. What do you think? Isn't the penguin so cute?! I think he makes a great addition to the gorgeous sparkly base. I've really enjoying twinning with Kirsty again, I can't believe it's taken us so long! We talk all day everyday and have such similar tastes in nail polish. Hopefully we'll have lots more twin manis for you this year. Remember to check out Kirsty's mani over on her Instagram here. You can also find her blog here and Facebook page here. This is adorable! Love this blue too! Love this polish! Nvr Enuff always nails it! 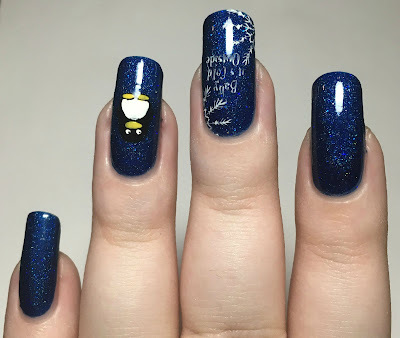 <3 The mani is super cute - penguins are adorable! Very sweet color! I am loving deep blues lately. That polish is amazing and that cute little penguin is the perfect nail accent! That blue is stunning! You utilized it well, and your penguins are adorable! Love penguin art in the winter. So cute! Awww that is the cutest little penguin!! That base shade is amazing and your mani is adorable! 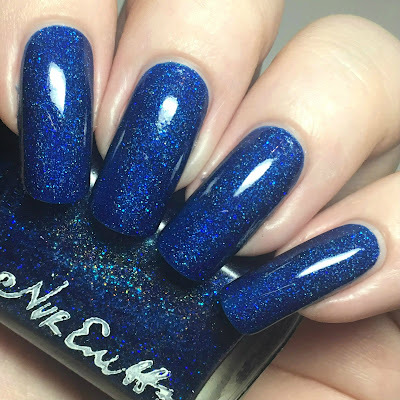 The blue is just stunning and your mani lovely! Loved this twin nail mani when I saw it on Instagram, it's gorgeous! 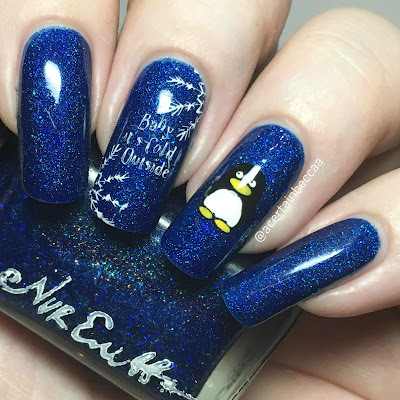 I love that blue base and that penguin is so adorable! I love your manicures. This is a beautiful color. omg that blue is stunning!